The Samajwadi Party defeated the BJP in the recent byelections for Gorakhpur and Phulpur Lok Sabha seats. The seats were earlier held by Uttar Pradesh Chief Minister Yogi Adityanath and his Deputy Keshav Prasad Maurya respectively. As much as old habits are hard to die, lessons are hard to learn. 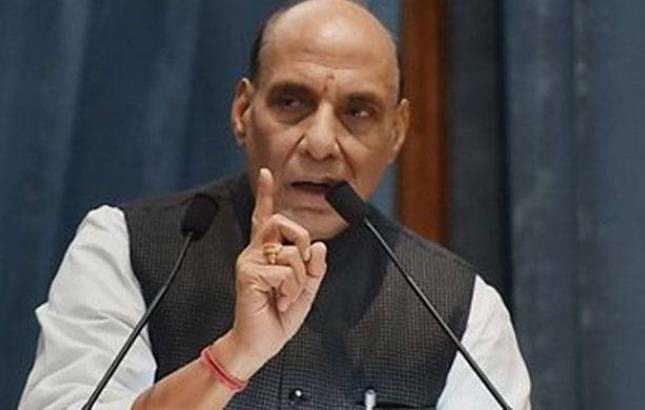 However, Home Minister Rajnath Singh on Saturday said that the Bharatiya Janata Party had taken lessons from its drubbing in the Uttar Pradesh Lok Sabha byelections. He said that such a result would not happen again and only time would tell against whom the country is rising. “Ho gaya, aage nahin hoga. Humein pata chala ki aisa bhi ho sakta hain (It has happened, it will not happen again. We have learnt that even this could happen),” Singh said at an event in the capital. Echoing Singh’s assurance, Adityanath also had said the results were a “lesson” and cited overconfidence and inability to understand the strategic alliance between the SP-BSP alliance. While Singh and Adityanath may strongly assure lessons are learned and that his party would work to ensure such a debacle does not happen again, the old adage remains, never say never again. However, loss and gain or win and defeat are a part and parcel of politics. A loss never to be repeated can be said ‘never say never again. And, surely time will tell.